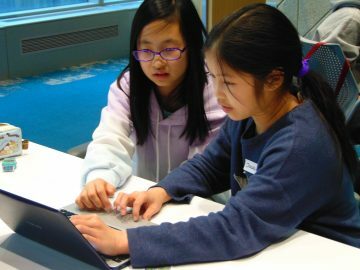 Coding for Your Classroom will help grade 6-9 teachers learn how to incorporate computer science and coding activities into their classrooms. Content will be focused on easy-to-implement computer science activities appropriate to the grade level and connected to the BC curriculum. The day will begin with “unplugged” activities that promote computational thinking, and then we will dive into exploring an easy to implement VR program – CoSpaces. This workshop is offered in partnership with Open Source Lab; Open Source Lab is a group of educators who love physical computing, digital fab, and VR/AR for transformational learning – check out their projects on Twitter, here. We will also explore how to connect computer science to other areas of the curriculum! Cost: Free! Coffee and lunch provided. Each teacher will take home a Google Cardboard (VR Headset)! What are plugged and unplugged activities? Plugged activities use technology, such as computers or robots. Unplugged activities do not use any technology. They reinforce computational thinking skills that students will use for technology, and in everyday life! This event will include both plugged and unplugged activities.